Manufactured in Japon from 1997 until 2000. This camera is close to PRIMA BF8, but it has the automatic focusong by autofocus system. The BF which means Big Finder becomes AF here what wants nothing any more to say… except Autofocus, but it is already written in red in fronting. In the United States, it is called Sure Shot Owl. 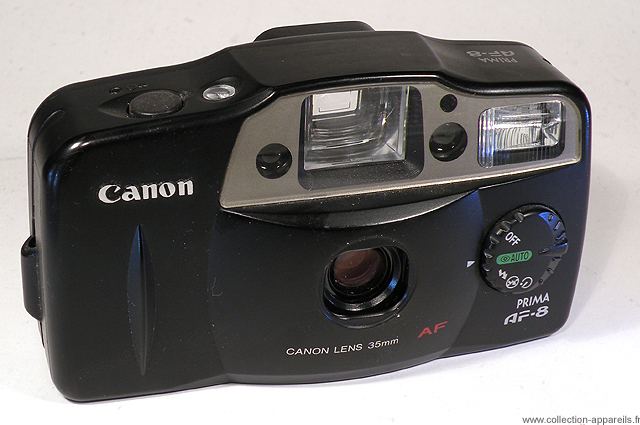 In 1997, Camara sold this camera 490 french francs.